Things are changing in the manufacturing industry - following market trends, more and more manufacturers are beginning to alot a larger portion of their budget to digital marketing. They're also seeing good results. Marketing is not historically a high priority for the manufacturing industry. According to recent studies, the average manufacturer spends 8% of their annual budget on advertisement, generating leads, and making business deals. However, that 8% can also go a longer way than it has in the past, as many companies are beginning to discover. Reports show that 94% of customers in the B2B market research online before they ever buy a product. If yours isn't there, those are potential clients and partners that you're missing out on. Accordingly, 82% of manufacturing companies who invested in digital marketing have reported increased success within the last year. Digital isn't all about generating new leads, however. Across industries, digital marketing can increase sales from existing customers by up to 15%. This is great news for manufacturers looking to boost customer retention, and earn repeat business from the same clients. Thankfully, analytics solutions make progress measurable by defining specific goals, tracking progress towards those goals, and relevant variables that can help a company to perfect and refine the strategies they settle on. However, Manufacturing firms who are new to digital marketing or just getting started face new trends in web design, popular content platforms, and changes in the way prospects consume information. The solution to this problem is clear and simple: marketing personnel should be trained for the new age where digital reigns supreme. 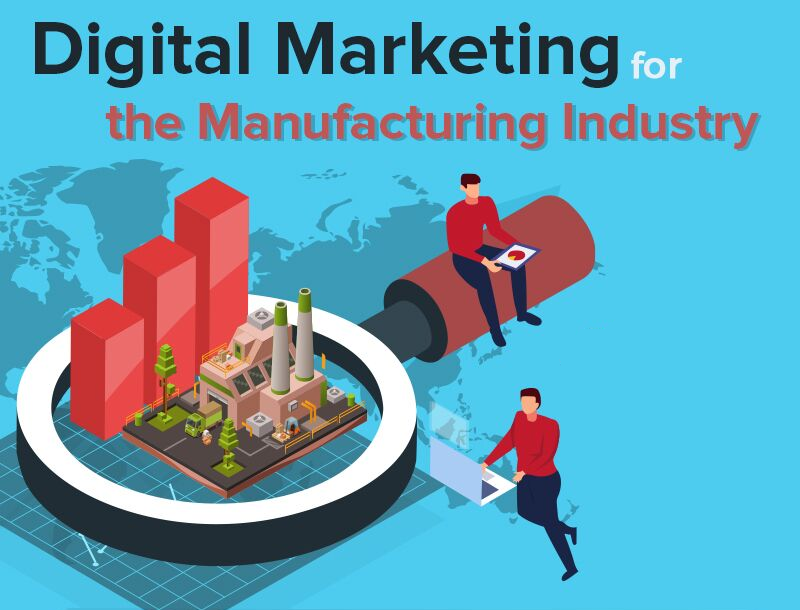 To help you get started, we've prepared a simple infographic which outlines a digital path for the manufacturing industry and all the relevant statistics cited above. Visit the Online Marketing Institute to browse over 400 classes in the digital and social media marketing space.